This villa has to be seen purely for the location. 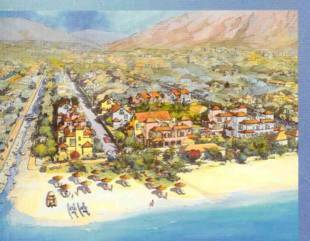 It is second line to one of the best beaches in Puerto Banus and takes about a 3 minute walk. The villa itself is in need of restoration which has already been started by the present owners but it is full of potential and is a great investment if you are looking for a villa close to the beach in one of the most prestigous areas in Puerto Banus. Puerto Banus itself is about a 10 minute walk along the beach and Marbella is also within walking distance again about a 10 minute walk. PUERTO BANUS: A total of 16 villas set in a high class residencial zone just 100 meters from the beach and 5 minutes walking distance to famous Puerto Banus. 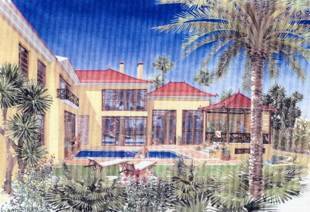 Each villa is set on individual plots ranging from 1.000 m2 to 2.000 m2 and though the houses are similar in style they all have unigue layouts and features. Built to high standards with marble floors with decorative elements of terracotta or wood, wooden beamed ceilings, fitness rooms, sauna, wine cellar, A/C, underfloor heating on ground and first floors, fireplace in the living area, video intercon and pre-installation of home automation and sound system. The gardens are spacious with fountains, lily pond etc as well as a private swimming pond. 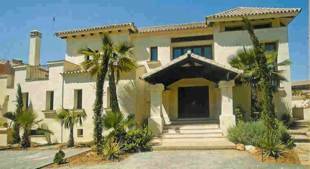 prices from 1.750.000 euros to 2.360.000 euros. 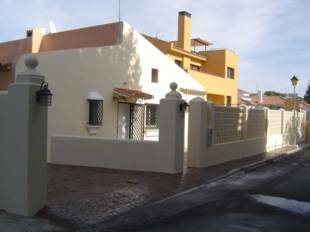 An exclusive detached Villa in a front line beach urbanisation, situated a few minutes from Marbella and walking distance to the famous marina of Puerto Banus. 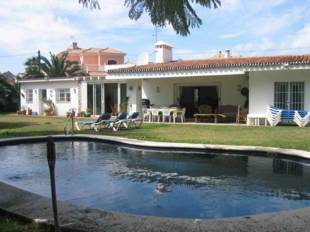 The Villa has fantastic sea views and direct access to the beach. Exclusive design and built with excellent construction materials & qualities. The Villa is perfectly proportioned and grandly designed, spacious and bright, Central heating. UFH in Bathrooms, A/C hot and cold, fully fitted kitchen with Siemens supplies delightful terraces, lead to the mature garden with automatic irrigation, private pool and barbeque area. This Villa has to be seen to be fully appreciated. A beautifully designed semi detached villa set within the tropical gardens of the development. These villas offer the sanctuary of private exotic gardens with private pool and all within a short distance to the famous Puerto Banus. The development has been designed throughout with a real touch of Asia promoting a sense of calm and tranquility with all the facilities that modern day life has to offer.